Sometimes it’s not only your desk that looks messy. 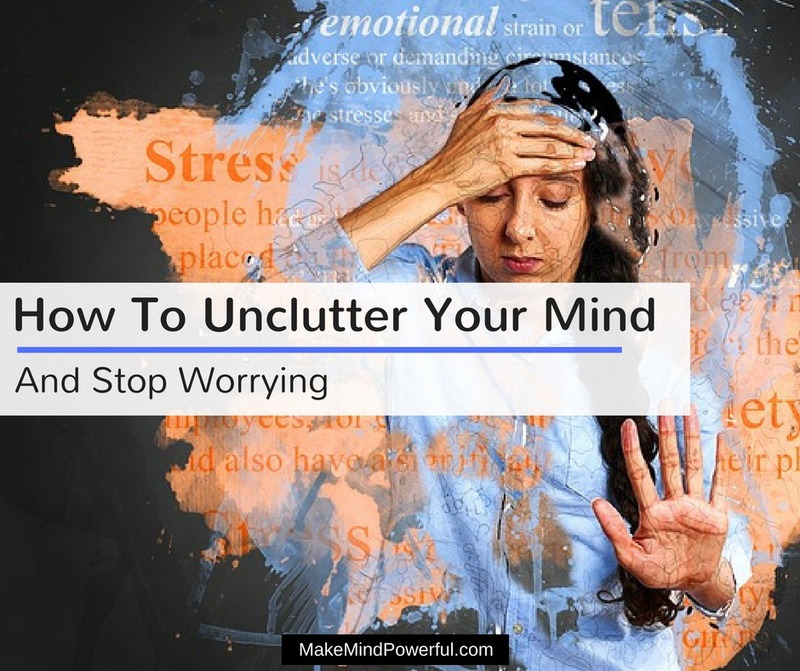 Your mind can be pretty cluttered in an unorganized mess and that could prevent you from thinking straight or getting the focus that you need. A cluttered mind gives you the feeling of a high level of unproductivity, as the mind is constantly all over the places and nothing gets done in the real world. When nothing is done to get rid of your mental clutter, you’ll constantly feel drained and eventually, stress builds up as you’re being ineffective in tackling your daily tasks. At its worst, depression and anxiety can falls upon you as you gave up in sorting out your mental burden. As a single parent juggling between work, house chores and my child, it’s extremely important for me to regularly unclutter my mind and stay ahead of all the various responsibilities. Here are some tips that actually work to unclutter your mind. Instead of constantly revisiting and sorting your tasks mentally, write them down on sticky notes. The actual act of writing your thoughts down on paper is empowering your mind to actually let go, instead of holding on to everything. There are no hard rules on writing down your thoughts on sticky notes but I usually start by jotting down concerns that are of the highest priorities. Once you’ve written them down, you’ll find that your mind stops nagging itself in an anxious way. I once prided myself on my ability to multitask. If you’re a multitasker, you may thrive on the feeling that you’re being productive, but the results usually point to the opposite. With scientific studies actually links multitasking to brain deterioration, I’ve actually got rid of the habit. Once you change your tendency to multitask, you’ll find that your mind is more focused and is less cluttered. And when you stay on a specific course without being distracted, you’ll almost be certain of achieving better results. 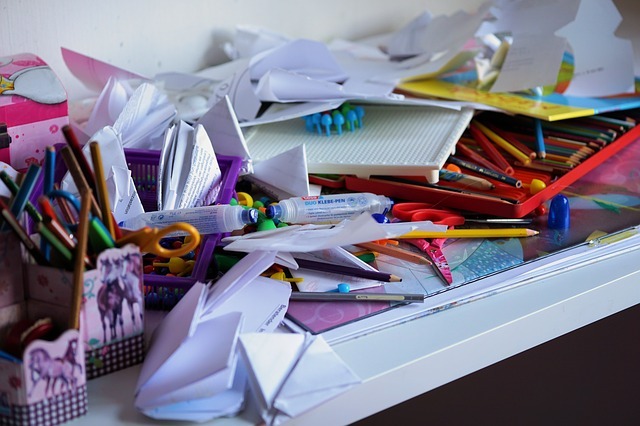 You don’t need to be obsessed with the tidiness of your home or workplace, but if you’re living in a physical mess, it will be surprising if your mind doesn’t follow suit. For a start, take a look at your desk and start putting items where they belong. An uncluttered workspace definitely helps you regain focus. The absence of unnecessary items prevents your mind from subconsciously noting and reacting from each of the items. For instance, I can’t write efficiently until I’ve sorted my utility bills that are piling up for months. There are good reasons that mindfulness meditation is an increasingly popular practice amongst busy people. It trains your mind to be focused and to stop reacting from every thought. It slows down your thought process in a way and allows you to get clarity that has been elusive. Starting mindfulness meditation is pretty simple with today’s technology. You can download guided meditation app and start meditating right now. Consistency is a must if you’re to reap any benefits from mindfulness meditation practice. If you’re constantly checking out on your Facebook, Twitter, Email or another ten of social media apps, it’s only natural that you find your mind cluttered, often with redundant thoughts and ideas. Disconnecting yourself from your mobile devices helps, but it’s not as easy as it seems. Social media addiction is real, as your brain has been wired to seek gratifications from the virtual platforms. You’ll find yourself growing restless when you first stopping yourself away from checking out the notifications. To totally disconnect, you’ll need some form of mental therapy, and hypnosis is one of the best ways to do so. Learn more about overcoming social media addiction with hypnosis here. If you have a habit of being indecisive, especially when it involves menial tasks like choosing your socks, you’ll build up mental clutter in no time. This usually has to do with your early educations or simply because it’s part of who you are. 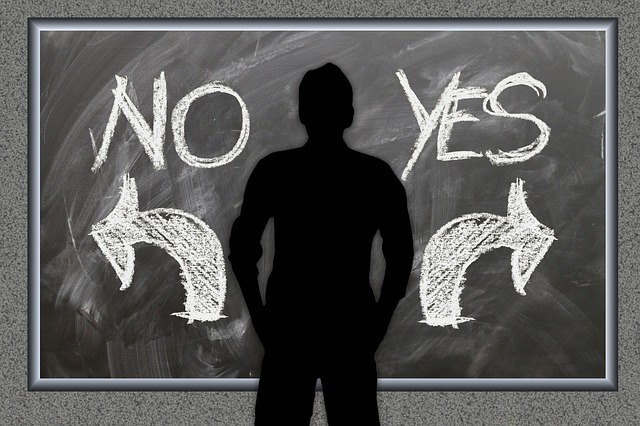 Nevertheless, it is important to realize that sometimes there are no right or wrong decision. Over analyzing only leads to thought paralysis. You can start by creating a decision-making system that works, such as listing down 3 pros and cons and make your choice in 10 seconds. Besides that, you can also prevent mentally exhausting yourself by creating a fixed routine for daily routines, such as making breakfast or selecting your work attire. When was the last time you hit the gym? If it’s been a while since you worked out, you should get back on track immediately. It’s not about building up an impressive six-pack, but rather to improve your physical and mental health. As your body works out, your brain will increase the production of endorphin, a hormone that helps lift your mood. In a way, you increase positive mental energy by working out. This helps you to sort through the mental clutter that is burying your mind. If you’re always trapped in bustling cities, the constant pressure of a fast-paced life can add on to your mental clutter. For a change, it helps to actually get closer to mother nature itself. Whether it’s spending a few days on a quiet beach or getting adventurous in the forest, temporary shifting your focus away from your routine can help you to gain clarity. I personally love strolling on the beach as the sound of the waves crashing is both hypnotic and healing. Besides burdened by responsibilities and common worries, our mind can also be tangled with repressed emotions from the past. Emotions like anger and regret can prevent you from getting clarity even when you’ve sorted out the organizational aspects. This is when you’ll need to dive deep into your subconscious mind and to face the emotions heads on, instead of escaping from them. Both forgiveness and gratitude are powerful tools to release the pent-up emotions that you’ve felt. I personally found Christie Marie Sheldon‘s program to be quite effective in clearing off hidden destructive emotions. During the past few years, adult coloring books have emerged as an effective tool for stress relief. Scientific studies have also highlighted how coloring can help to reduce stress level. If you’re trying to declutter your mind, you can do so by letting loose your creativity. It’s an enjoyable experience once you get the hang of it. As you’re absorbed in the coloring books, you’ll find your mind shifted away from the burden of responsibilities. As you feel more relaxed, you’ll have more control of the mess that your mind is in. Here are some of the best adult coloring books for you to de-stress with. Like cleaning up your desks, it helps to unclutter your mind on a regular basis. It prevents your mind from over-exerting itself. And it is much easier to replenish your mental energy regularly than when you’re truly exhausted. How do you unclutter your mind? Share your best technique with us in the comment below. Mindful Eating For Weight Loss – Can You Really Skip The Gym?